Chadwick Boseman is a rising star and here’s why! You might have seen Chadwick Boseman as T’Challa in the Marvel Comics film, Black Panther. And you probably couldn’t take your eyes off of him. 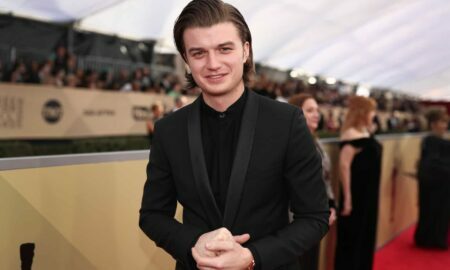 From the moment he comes on screen, he is mesmerizing and his performances are known to be riveting. Indeed, he’s also portrayed Jackie Robinson in 42, James Brown in Get on Up and Thurgood Marshall in Marshall. And since then, he’s gone on to Captain America: Civil War, Avengers: Infinity War and the upcoming Avengers film! Basically, he’s one of the hottest, A-list actors in Hollywood today! 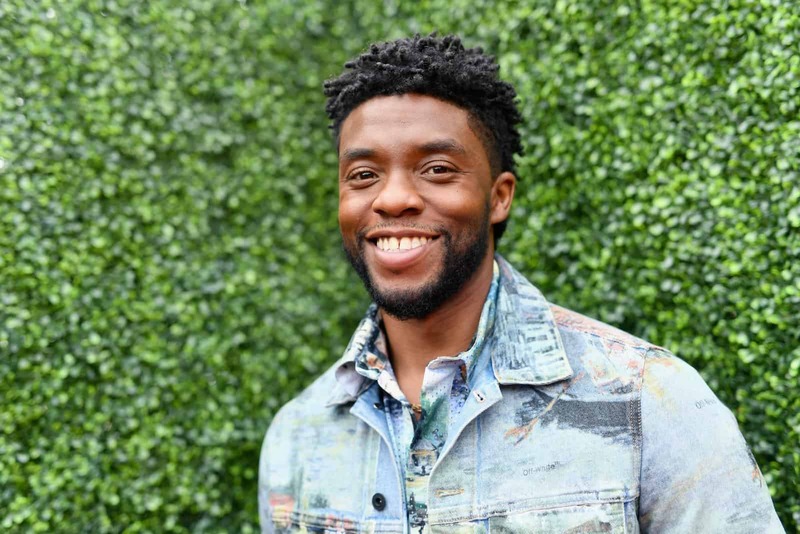 So, let’s take a look at Chadwick Boseman’s best looks both on and off the red carpet! 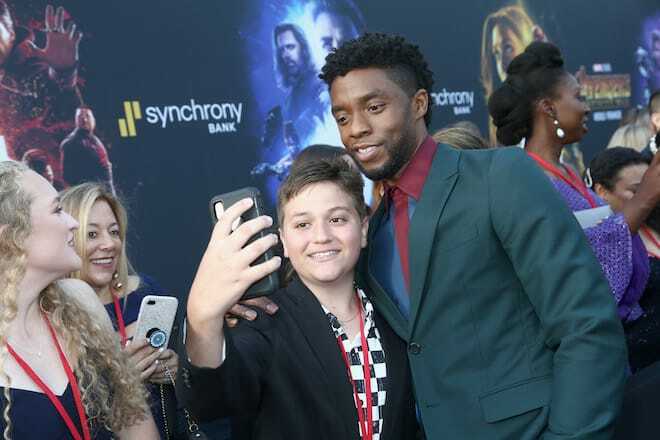 Chadwick loves his fans and will always make time for them. Here he is, taking a selfie with a fan at the premiere of Marvel Studios’ Avengers: Infinity War!